My readings of verse from my book “Just Thinking” seems to have generated encouraging responses (see “My Dream” and “Just a Rose”) so now I am thinking about reading extracts from “Who Said I was up for Adoption?” in the obvious hope that it will be a good marketing idea … which is very important to me given that both books are supporting specific causes (both are non-profit for me). Any thoughts and/or suggestions on how much to read (based on text? based on time?) would be appreciated. The only reservation I have is whether I can create the emotional responses that the book seems to do. The link below goes to an earlier book promo Post which should explain my reservation! Comments from experience as an author, or as a reader, would be welcomed. I would be lying if I didn’t say I love your accent! Plus, I think author readings are a very effective way to sell your books. Do you do any readings in your area? I think you mentioned once that you’ve been involved in some through the shelter where you got Ray? Hi Ann. No I haven’t. Our Humane Society is not supportive of the book as a fundraiser. Apparently they have a policy which restricts their involvement to only those ventures that were pre-approved by the local township, and I have not pursued that situation at this time. Readings in other areas have crossed my mind, but the hesitation is the additional cost of promoting a reading and the cost of books available for sale at the venue (which I would hope is free!). 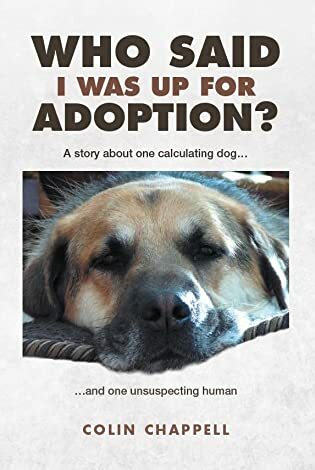 I am significantly in the “red” with “Who Said I was up for Adoption?”, but then, based on initial interest, I was expecting the Humane Society to promote via their various social media channels etc. This whole project did not workout the way I was expecting! That’s too bad! I would think that it would be in their best interests to promote the book! After all, it encourages adoptions, and especially the adoptions of the dogs that are a bit more difficult to place. And look how well it has turned out for you and Ray! The practical side of our Humane Society is excellent, but the admin side leaves a lot to be desired. That just the way it currently is! While not an author, I am an avid reader and lover of books. I would love to hear your oral presentation of Ray’s Book, I could listen to your voice for hours. As I am retired and the vast majority of those you would wish to reach are not, perhaps Willow’s suggestion is a more reasonable choice. Thank-you and please just do it! My thought: YOU will master the trick and meet the challenge!! I believe that in reading excerpts from your book you still will create an emotional response. Your writing is so good that the story will tug on the heart strings whether read or listened too. Who knows, it may tug on the heart strings even more when listened to.